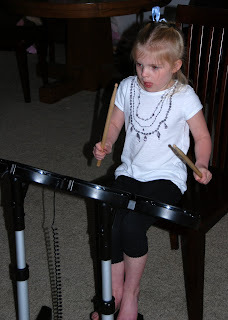 Jade has really been practicing the drums on RockBand. She'll spend a long time in the practice mode and then she'll ask Scott to join her and do the song for real. She's gotten pretty darn good. She is adorable when she does the foot peddle because she lifts the opposite shoulder! You can tell she is her mother's daughter-- tongue's out. 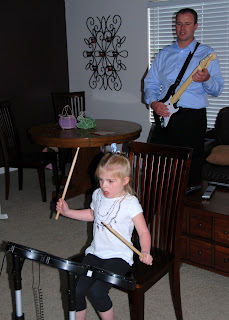 It looks like Rock Band has become a family epidemic. 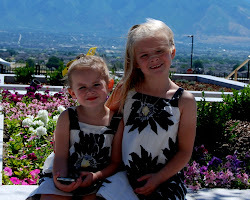 It'll be fun this summer to get ALL the little cousins together for some jam sessions! That's awesome! Why did the togue out thing make it to ALL of us?